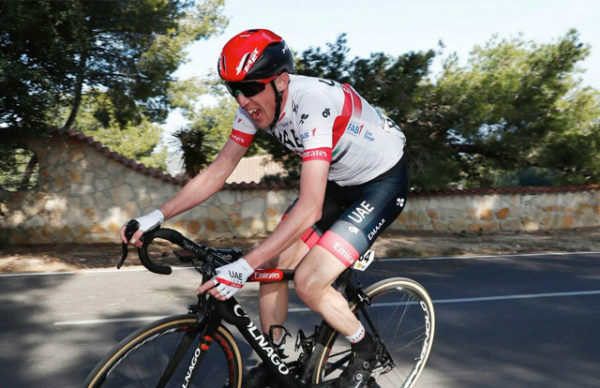 Dan Martin lost a bit of time in the battle for the yellow jersey but he has moved up overall. What can he do on the final stage which is very short and hilly and may well be very explosive? Ireland’s Dan Martin and Slovenia’s rising star Tadej Pogačar combined well to limit their losses at the Tour of the Basque Country today. The fifth stage of the race saw Bora-hansgrohe reign supreme; taking its fourth stage win and swapping the race lead within the team. Frustratingly for Dan Martin, when a four-man group went off the front on the final climb, he didn’t move with it. And when he got going in his bid to catch them, their gap over him was established. He then spent the next few kilometres on his on maintaining the gap. 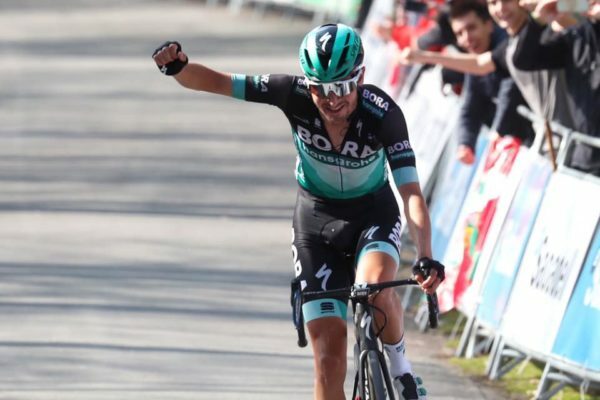 Emanuel Buchmann (Bora-Hansgrohe) had gone clear in the early breakaway, dropping them all to win the 150km queen stage from Arrigorriaga to Arrate. He held on up the final climb of Usartza before descending into Arrate win by 1:12 from Ion Izagirre (Astana). The stage winner and new race leader; Emanuel Buchmann (Bora-Hansgrohe). His team has held yellow all the way and won all the stages so far bar one. Can they seal the deal tomorrow on the last day? Adam Yates (Mitchelton-Scott) was next two seconds later, followed by Jakob Fuglsang (Astana) a further four seconds back. Then came Pogačar and Martin, placing 5th and 6th, some 1:38 behind the winner; a result that moved Dan Martin one place higher overall to 4th. Buchmann now leads by 54 seconds from Izagirre, with three-stage winner and race leader this morning Maximilian Schachmann (Bora-Hansgrohe) next at 1:04. Dan Martin is next in the standings at 1:32, equal on time with Fuglsang in 5th place. Mikel Landa (Movistar) was first to attack from the select group on the final climb, but it was Yates, Fuglsang and Izagirre who emerged best and rode away from everyone else; race leader Schachmann losing time on the final climb. And while Martin was able to hold the strongest trio on the climb, he didn’t move with them and so was left with it all to do. Tomorrow’s final stage features six categorised climbs on the short 118km stage starting and finishing in Eibar, which promises to be explosive.